Jackson, Lewisdale and Oakwood Groves are manufactured housing communities in Middle Tennessee that offer weekly two-bedroom home rentals, residential managers, prompt maintenance, well-kept grounds and at-door parking. Oakwood Grove and Lewisdale Grove have an onsite laundromat and playground. In business for 30 years, we take pride in high standards. With two full-time maintenance personnel, we have a rapid response rate to maintenance requests. All 110 homes meet and exceed safety codes. We have residents who have lived in our communities for years, as well as residents who need housing for a year or less. 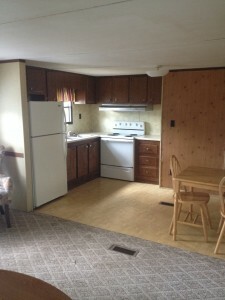 Weekly rental includes utilities, making move-in simple and easy.